On 8th October, Totally Wicked turns 10 years old. Over the past decade, we’ve had some iconic moments which many of you will remember well. Let’s take a look back at some of the key moments in our history which have helped shape Totally Wicked. Totally Wicked started small, in a bedroom in fact, but soon the need to expand was realised. Blackburn is a proud old mill town and Brook Mill was our first official ‘home’. Fast forward to 2011. For the business to properly serve our customers we needed to move. Say hello to Stancliffe Street. This renovated car garage became the new home of Totally Wicked and expansion is still ongoing at our Headquarters. Our initial sponsorship deal is signed supporting St. Helens Rugby Club. This began in 2013 with the sponsorship of the North Stand of the rugby giant’s home. The year after, Totally Wicked became a sponsor of Saints’ jersey and our logo still remains on the sleeve of the shirt. This relationship continued to grow as Langtree Park was renamed the Totally Wicked Stadium. We look forward to more memorable times with St Helens RFC. Red Label e-liquid hit the vaping market to resounding success. Manufactured in Blackburn it was a hit with vapers internationally. The Red Label E-liquid range continues to be one of the most popular ranges in the UK and further afield. Taking on the Article 20, TPD legal challenge was not easy, fighting for vapers’ rights meant a fight in the EU courts. This iconic moment in Totally Wicked’s history is still spoken about today as regulation continues to be deliberated throughout the vaping industry. Built on the original Stancliffe Street site, our state-of-the-art e-liquid production and testing facility had its grand opening in 2015. 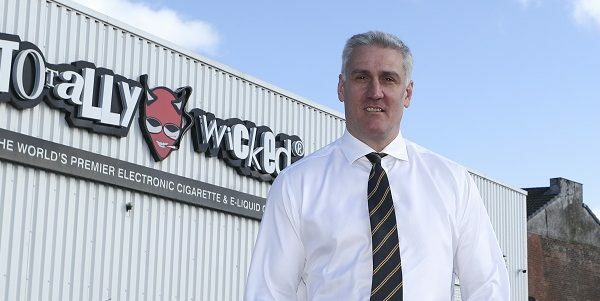 Since this milestone moment, Totally Wicked hasn’t looked back, now producing numerous ranges of e-liquid including the world-renowned Red Label range! We continue to fine-tune our e-liquid expertise to this day, releasing new ranges and additional flavours all thanks to this manufacturing facility. We made our small screen debut with a TV advert seen across the UK. This moment saw Totally Wicked and vaping reach the masses. This unfortunately would be our last TV advert to date due to strict advertising regulations. Reviews on advertising regulations are ongoing as policy makers discuss whether TV adverts like this one should be allowed to help more smokers realise the benefits of vaping. Totally Wicked started as just 3 employees and has now reached a figure of 250 employees. This expansion and recruitment means we can properly serve vapers across the world. Our official club partnership with Blackburn Rovers FC is announced. 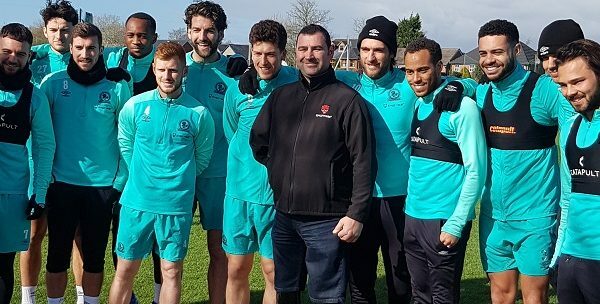 We hope to make a lot of happy memories with our local team. We’re sure this will prove to be a landmark moment in Totally Wicked’s history and we will be reminiscing on the day this partnership was announced for many years to come. We look to the future as a new warehouse and distribution facility is reaching its final stages of construction at Totally Wicked HQ. This will complete the transformation of an old car showroom in Blackburn. These are just 10 of our most iconic moments and i’m sure you’ll agree we’ve had many more. What are your most memorable moments from Totally Wicked’s history? Let us know in the comments.